Hi kimy! That is a neat old building; would be nice to see it in service again. And I like the contrast of the two bridges and the veggie oil car :) But the one of the two girls holding hands...priceless & just too cute! Yup, the old CG station would be a prime renovation project around here - there's be archtects fighting to get the job. That's a gorgeous old building. Interesting performer. I wonder if she has plans of expanding out of your local area? Love that building and agree with Megan on the favorite shot. Kimy, Kristine has a wonderful voice. Maybe I'm a sucker for that blues, smoky sound, but I just love it. 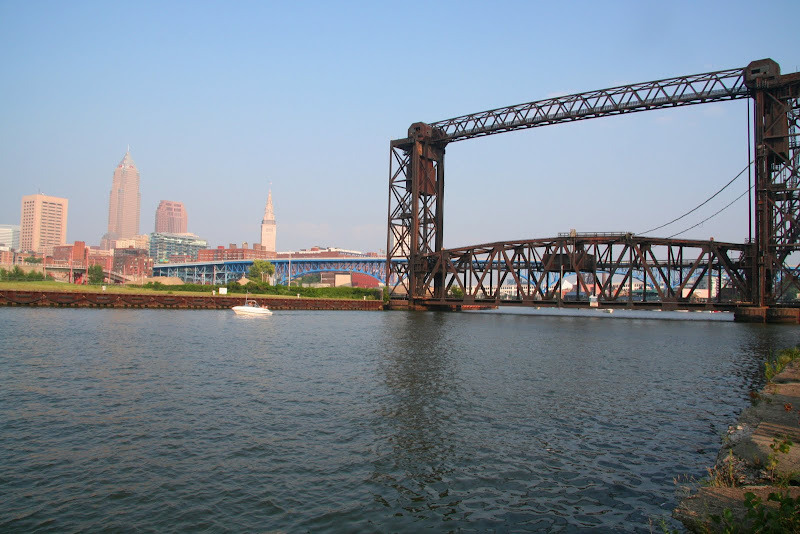 Cleveland looks fabulous when it is illuminated beyond the river. Thanks for the images. reading your words the river seemed to ripple in the background...actually i'm feeling a little queezy now.